When can people can get an official static contraction machine? Lately, almost daily I receive queries about where or when people will be able to buy a home static contraction machine. Here’s what I can tell you. I have never been in the manufacturing business so I’ve known from the beginning that making a serious static contraction machine is not something I could ever do on my own. There have been and still are a tiny handful of guys who try to fabricate something in their garages or basements and some of those try to sell to the general public. None of those machines is worth buying in my opinion. In fact, I’d tell a friend to clearly avoid them. I tried to work with a shoestring static contraction machine manufacturing operation and it does not work. I could outline the dozen or so reasons why it does not work but I don’t want to talk about the negative aspects and the steep challenges of creating a world-class static contraction machine. What I prefer to talk about is what is being done right now. There are a few small companies trying to forge a path using high-end machines that take isometric measurements to be used in clinical environments. That’s a good thing, but I never get e-mails from people asking where they can buy or find a $50,000 clinical machine. People ask me about a home static contraction machine. That is also where my primary interest lies. A team of very accomplished professionals has gathered to form a company that is exclusively devoted to not only the clean-sheet-of-paper design and manufacture of a static contraction machine but also to a constellation of supporting and expanding technologies and services. I am on this team. There is expertise in the areas of exercise equipment and ergonomic design, human kinesiology, clinical research, biometric measurement and analysis, applied mathematics, software design, user-interface design, retail merchandising, direct marketing, global logistics and distribution, international regulation and finance and much more. It’s a proverbially rocket on a launchpad. I have a vision for the future of static contraction that the copycats and rip-off artists just don’t have a clue about. When I was in my thirties I would have been quite excited about the massive financial opportunity this represents, but now in my fifties I am far more interested in the legacy of positive accomplishment it can create. Since hearing them, I’ve always been somewhat haunted by the words of Horace Mann: “Be ashamed to die until you have won some victory for humanity.” That’s a tall order, but I think static contraction contains a potentially vast victory for humanity. I’m not talking about a planet of bulging biceps and 19-inch necks. I’m talking about having superior health and a longer life – easily attained and within reach of virtually everyone. The health benefits of productive strength training are already well documented. Nevertheless, I think the proven benefits represent only a hint of the full treasure yet to be revealed. So a proper static contraction machine will not merely be a machine, it will be part of a durable product line that includes very sophisticated software that networks the machines and harvests massive data with a granularity that has never been seen before. I’m always amazed (and saddened, frankly) when I visit a big fitness expo and view the newest fitness machines. The treadmills, ellipticals and other ‘cardio’ equipment are bristling with electronics that takes a few measurements and mostly provides entertainment. As poor an effort as it is, it is infinitely better than the offerings in the strength training area of these expos. Those machine don’t have a molecule of silicon in them. In an age of almost ubiquitous GPS, 3G, WiFi and networked systems, strength machines alone are utterly devoid of technology. And in a rare offering of technology regression, and to add further insult and blemish to the profession of strength training, many fitness promoters even have the Luddite temerity to proffer 19th-century technology such as kettlebells and stretch bands! Meanwhile, the use of personal metrics is already exploding in the realm of aerobics and cardio fitness. GPS, iPhone apps and other devices measure time, distance, cadence, speed, elevation gain, calories burned, pulse rates, blood pressure, oxygen saturation and other data. But the lowest hanging fruit in the fitness orchard is the billion-dollar opportunity in personal metrics related to strength training. And do you know why it is 100% unexploited? Because nobody takes measurements when doing strength training! They literally don’t have a clue what to measure. Once you begin to take serious measurements the universe of possibilities expands. That is the universe to be investigated by the team of very accomplished professionals I mentioned. I spent time in the laboratory of a brilliant scientist (on the team!) who designs, builds and uses test equipment to perform force measurements for a shoe company you have definitely heard of. He showed me the fine granularity of what can be measured during your 5-second rep on a static contraction machine. These are metrics that have never been examined before. For example, what is the significance of reaching your peak force on today’s biceps exercise in 800 milliseconds instead of in 2,100 milliseconds as you did on your last workout? Or what is the significance of holding 80% of your peak triceps force for a longer time? Nobody knows. And nobody will know until the software operating and networking the static contraction machine is completed and the data can be analyzed to find correlations. What an exciting frontier that will be! Even this is the tip of the iceberg. What will we learn when we can compare your personal results with thousands of other people of your same gender, age, weight, bodyfat and levels of strength? Or who also are pre-diabetic like you? Or who also have a premature ventricular contraction like you? This data goes beyond merely calculating optimum training intervals and schedules and could quite possibly reach into the area of diagnostics. The near future holds a simple static contraction machine in every household tracking every family member’s strength by performing perhaps one 5-second exercise every week or so – and always sending a reminder of when it needs to be done. Simple strength training that is easily and almost universally accessible from childhood to geriatric adulthood. So why is it taking so goddamned long to get a Static Contraction machine? Good question. I confessed at the outset that I don’t have the talents to make this happen on my own. Every once in awhile I ask the other members of the team, ‘Why is it taking so goddamned long?’ I hear about legal, accounting, patents and other boilerplate. I hear about a global recession. But I don’t hear a date. So this post is for the benefit of the thousands of people we’ve heard from who really want a home static contraction machine – almost as much as I do. When one is available I will tell you first. But it won’t be a static contraction machine that was slapped together and boxed up in time to capitalize on a Christmas rush or to catch the wave of some goofy fitness craze. It will be a solid, world-class element of an over-arching lifetime health enhancement system designed and intended to ‘win a victory for humanity’ – and if it isn’t that, I won’t tell you about it. These images reflect a design created by an award-winning fitness equipment designer who is part of the static contraction machine team. They contain newly patented innovations. I don’t expect the static contraction machine that makes it to market to look exactly like this. When you start with a clean sheet of paper and are designing for isometric exercises only there are many fresh ergonomic and metric possibilities that present themselves. I have a stic contraction machine. It works fine, but to move from exercise to exercise is not that easy if you dnt have a partner. I hope that whatever you are going to market would also be afordable. Looking forward to seeing the end product. One of my concerns is the potentially high cost of an offering that addresses your entire vision. Although very meritorious, one can only reach the market that can afford to purchase it. Hopefully the fitness community also buys in and these machines find there way to private and public fitness centers. Pete, I still have one of those original static Contraction machines. It is OK BUT there is definitely a lot of room for improvement. I cant wait to see the equipment. One of the reasons I bought the machine in the first place was I got tired of loading all those plates on and off. Loading the equipment took forever. Not to mention on some of the machines I was running out of places to put the weights like the inclined leg press. I was ready to start looking for that Toyota you used a few years back. Anyhow good luck to you and the team on completing this awesome challenge. Like I said cant wait to see it! Everyone is hoping for something soon, but for world class we’ll wait! Very interesting the granularity aspect of SCT. That will be priceless data for facilitating better understanding and push the evolution of SCT even further. The concept designs look really good. I was hoping for a highly portable wifi carry-in-my-training-bag SCT system, but I’m confident that you have the best of the best working on this. Looking forward to seeing the results! I can’t wait to see what comes out of all this thought and planning. As a long time static contraction practioner and an owner of one of your “shoestring machines”, I have a few thoughts. I’ve mentioned before that I actually prefer to have a weight on a bar that I have to lift for an inch or two, over simply pushing as hard as I can and then reading the results of my effort on a measurement meter. For some reason it is more gratifying to know that I lifted the weight (or sometimes not) before stopping my effort and looking at a meter. This works well for my upper body lifts, but I don’t have enough weight to do this for my legs. In comes the leg press machine. When I was using the old “shoestring” leg press, I often had low back pain after the exertion. I also had several clients (I’m a Personal Trainer) who experienced the same pain, sometimes very badly. I started investigating the body position of almost 90 degrees in most leg press machines and couldin’t find much, but did find a little that described this position as not so good for the lower back. It seems to put a lot of shear force through the hip sockets and into the lower vertebrae. I have wondered if a larger angle (135 degrees) between the legs and upper body might spread some of the 1000 lb. and greater force through the hips and the entire back rather than concentrating it on the lower spine. Have you or any of your clients experienced this? Thanks, Pete, for your work in this field. Sounds great Pete! I hope it can also be used for PFT though! Great point about being able to push it an inch or two or even 3! That is huge. I would think in this day and age (technology) it will be very doable with a static machine. It’s a must. Also, the bar that will be on this Static Machine. Somehow pad the hell out of it or design it different than a typical barbell (bar). Using a typical bar tears up my hands and wrists on bench and tri exercises. I can not go higher on the weight due to the pain in hands/wrists. I didn’t have time to read Pete’s whole article but one question kept popping up in my mind as I read the 1st 2 para’s. Where in the hell is this god-damned machine and why is it taking so long? Years ago I used weightlifting machines that were pneumatic assisted. They had a foot pedal that when pressed would raise the weights. Lifting your foot released the weight onto you. It was easy to do negative lifts because the air would lift 150% of my max, and I would just slowly lower it. SCM didn’t exist at the time, but this type of machine would be a perfect solution for doing SCM alone. I don’t know if they are still around, you could try a web search or use pneumatic lift equipment to create your own (if you know what you are doing). Haha. Thanks, Marty. “A Toyota in every basement!” It just shows you how lacking the equipment is today when regular folks can lift 200%-400% of the capacity of those machines. Thanks, Phil. This is why I use the phrase “product line.” Any engineer can tell you that everything is made with compromises and you have to decide upfront what you are aiming to accomplish. A portable system would be great and, personally, what I might use most as I travel constantly, but that’s no good for a commercial gym or even for they guy who wants a durable – unmoving – unit for his home. So all of these situations need to be addressed. The static contraction machines in homes, commercial gyms and chiropractic offices may look quite different from each other. I have one of those static machines and went back to stacking weights. I did not feel I was getting maximum benefit from from the EF machine. Thanks, Eli. There are several universities saying the same thing. It’s all quite exciting and there are so many things to examine and test that I’m sure a lot of people will get a crack at it. The equipment you are referring to is Keiser and they are still around. I have looked into them for static training, but they didn’t offer enough resistance, especially for the leg press. I would think that they could beef up the compressor and lines to offer more resistance. It also seems to me that hydraulic assist machines, much like used in construction would be able to give as much resistance as anybody would need. Then all the machines would need is a block to keep the weight from crushing us. That won’t be a first-generation priority, Rama. But there will be an evolution in the direction of what works best. Nobody know exactly where that will take us. Carlo, I remember using machines by Kaiser that used air pressure. I think they still make them but there are limitations when you try to perform SCT with them. For one thing the resistance is low – like 250 lbs for triceps. A grandmother’s weight for SCT. 😉 And positioning is an issue because the maximum resistance is only reached when the cylinder it fully compressed. There are better ways. Even hydraulic would be better for SCT. Steve, you and I must have been typing at the same time. Ha! This could work great in a Van or Truck for a personal trainer to take to a clients home or a Chiropractor’s or Doctor’s parking lot! I have just been researching load cells and strain gauges to allow me to record in real time to a PC the amount of force over time. With the intention of creating a back yard STC machine. I agree the data implication could be very impressive! I was simply trying to plot Force times Time to give me a measure to compare work outs to. In addition I wouuld be interested in your thoughs on the book Body by Science. When you make the leap to digital it’s pretty amazing. This is where some of my thinking has been. If the goal is to be able to target each muscle without the limitations of “weak link” muscles you would want to be able to load the target muscle as directly as possible I would think. When I first understood the whole idea behind Nautilus single joint rotary machines it was an “AH HA!” moment for me. These were machines “built around the man” as I believe Arthur put it. Is this kinda the direction you guys are going or you may have something in the works that nobody has seen yet? Donnie, its something that nobody has seen yet. That’s why we don’t want to say much right now. But everyone who signs up on Pete’s interest list will be the first to hear about the machine and have a chance at buying one so make sure you sign up! Enjoyed the read.Pete, all these experts that are putting together this SCT machine. Make sure they ask all of us(the market place) what we want it to do also.It will save you alot of money later when the feedback comes in if you already know in advance what the buyers want.I do not know how many emails you send but I do enjoy the feedback from all over the world.The SCT crew seem to be wide and varied in occupations so there could be a huge benefit from the input/market research.There maybe feedback amounst us from Sports scientists, hospital staff, body builders,welders, electronics engineers. e.g.A light weight machine that can be easily packed/stored neatly rather than taking up heaps of room. Also,Ignacio Rubio-Landaluce, thanks for the post on the Mediterranean diet, gonna check it out. Rob, we have been taking notes over the years and we know exactly what we need to do with the machine. There has been tons of input from therapists, doctors, trainers and regular customers into the features they want and I think everyone will be happy with the results. I’ve been eating, sleeping and dreaming this machine for 2 years now and I think we’re at a point where we’ve got the end product in sight. i hope the leg press will secure the sacrum against the pad, not like this sample image. however i am tall and notice that the last sct machine cleverly cut short the back to negate extension, however my pelvis needed another inch or so. i am curious to see how it turns out…i hope there is a better lumbar extension exercise potential other than deadlift. i had one on the sct machine i first got but could not do it on the upgraded one…it was more like a hip thrust up into the bar off the bench but i barely could fit my feet on the platform. it used glutes and spine extensors. the bar sat across the front of pelvis. Ive been waiting years for this ‘dream machine’, and i know you wont put your name to it until it is correct, and good on ya for that, there is so much crappy machines on the market,and they cost a fortune, ive signed up to be one of the first to know when it finally arrives. Charlie, that body position in the leg press image is terrible. It’s just a mistake the artist made, and the machine will not have that exact configuration anyway. No idea what the human upper limit is. Can’t wait to test it on some world-record holders. You are welcome. Feel free to ask me whatever you need to know about it. Thank you for a great article about the future SCT dream machine. I would like to make a suggestion or a request regarding its construction or configuration or options. 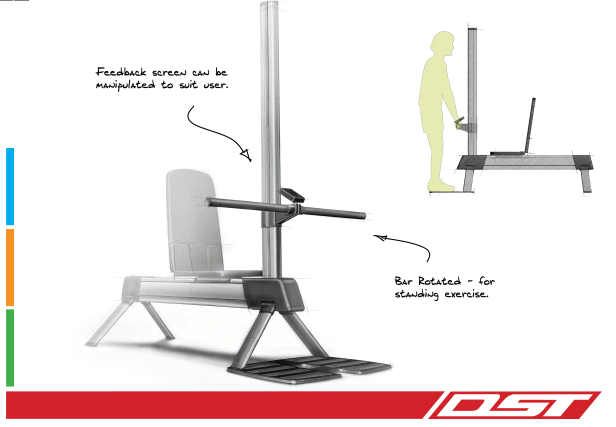 Could it have the option of a standing shoulder press as opposed to the sitting shoulder press only. Let me explain why I am suggesting that. I am practicing the PFT and this is how I am doing it. I start out with a weight that I can shoulder press (about 2-3 inches) about 12 – 15 times. Then I add 20 lbs, two plates (10 lbs on each side) and do my next set, then I add another 20 lbs and the next set another 20 lbs and so on until I can press out only I time (my one rep max). After that I add 10 more pounds (two 5 lbs plates on each side) and come under the bar, bend my knees (about 3 inches) and on straight hands lift the barbell and hold it for about 2 seconds (that is, I am able to hold it for only about 2 seconds). That kind of PFT combined with SCT allow me to go beyond my one rep max. I would not be able to do it if I were doing a sitting should press, since the final weight I am lifting with my leg muscles. I still could use the leg muscles (when doing the shoulder press in a SC machine) if it will have the option of and allow me to do the standing shoulder press. Just a suggestion. Thank you. Ben, I also prefer the standing press. They are very close in intensity anyway. Can I train in Krav Maga (self-defense) and still train with SCT? Could you please pass along this suggestion to whomever is developing the equipment? It would be great if you could separate the machine from the display/computer/software. With iPhones and Android devices pervasive and easy to develop software for, there’s no reason to handicap a SCT machine with an expensive piece of equipment that can quickly get outdated and whose capabilities are frozen the moment it leaves the factory. Instead, if the machine were to have a simple communication interface with an iOS (iPhone, iPad) or Android device, such as a cable or better yet, a wifi or bluetooth transmitter, then the owner’s smartphone or tablet could be the display with all the amazing bells and whistles that these devices already have built in (gorgeous display, memory, internet connection, speakers for audio cues including voice call-outs, CPU for real-time calculations, video capability, reminders & timers for workout scheduling, etc.). 1. The company can outsource the development cheaply. 2. The company can quickly upgrade the software, adding features, fixing bugs, modifying features, and machine owners can immediately download the updates. 3.a. You could cheaply create studies with your users to test SCT / training principles & methods. 4. If so inclined, you could let the developer marketplace build competing software that could advance the software development independently of the company. Eliminating the display hardware from the machine will cut down on costs for the manufacturer, resulting in lower price of the machine and higher margins for the company. It also gives the company great flexibility in quickly and easily improving the software, which will result in better workouts, more consistent use and happier customers. 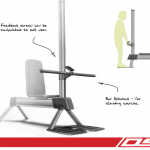 Focus the company’s development efforts on the ideal SCT machine ergonomics. Let computer manufacturers focus on their expertise of building awesome hand-held devices to serve as the display. Hire a software team/developer to develop the software to your specifications (and iterate on the software as you come up with new ideas / feedback). I think that formula will give the machine (and company) its best chance of success in the market. Even if the company has already made significant investment in developing the display hardware (and internal software), the company would make more money in the long run by writing off that display hardware investment (sunk cost) and investing in a simple communications interface and iOS/Android software development. P.s. Where I’m coming from is that I’ve had EF machines since they came out (and upgraded 3 times, until EF ran away with my money for my final upgrade to the EF Streamline Digital, never delivering). The display (and its stand) has seemed to be the most obvious limitation and room for continuous improvement for the equipment. As an owner of the EF equipment, it really bothered me that in order to get a new display, I had to buy (and wait for) expensive new equipment. What a waste of time, metal and money. I own an iPhone, and see obvious multi-faceted benefits to using that as a display/computer for the equipment. And, I’m a software developer, so I know how easily it can be done and how much better the display/software could be. Reed, thank you for your input. I can gladly tell you that we are thinking exactly like you are and have already incorporated all of your suggestions into the design we have in mind. I like you idea as well but would caution that they NOT stop development of a display on its own. There are many people who still do not use a smart phone or a tablet. In fact my father is an example and is just buying his first laptop soon (no smartphone or tablet either). As a designer they would significantly be limiting their market by excluding those who chose not to have the latest technology in their homes. Shawn, we will have both. Trust me, this idea has been spoken about extensively. And being subscribers to this site, we will make sure the final product is something that you guys will get a chance to see a sneak peak of and give your opinions on. Will I be able to use Power Factor Training on these machines? Several guys made comments about going back to weights versus just pushing against a bar…I don’t understand the physics or the whys of it, but I agree with them. Actually lifting “weight” 1-3 inches just seems different that trying to push real hard against a bar. But I also agree with the folks saying stacking 1000+ lbs on a machine for a 5 second exercise starts to seem really inefficient and rather quickly I might add! Even worse then you have to take it apart and load up 5-600 lbs for a bench press or a deadlift. This gets to be like manual labor. I guess I’m asking for a machine that provides resistance for use in a static contraction and is simple “to load” and quick to switch to the next exercise. No plans for that on the early SCT machines. Right, and that machine will change everything. The only real drawback of SCT is that people get too strong for the dinky equipment that’s available. 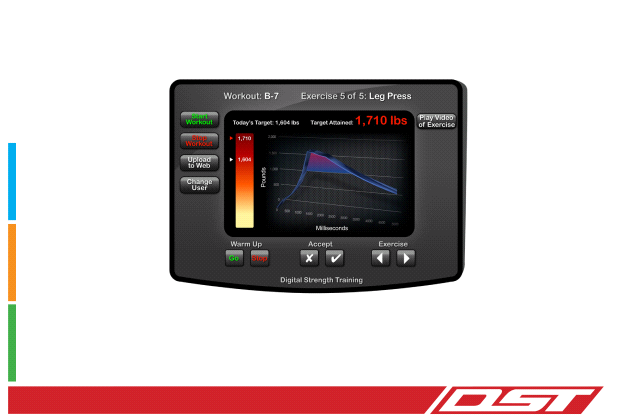 Once a first class SCT machine is available it will leave other strength training in the dust and the maintenance of optimum strength throughout life will be almost as simple as stepping on a bathroom scale is. i’m glad i waited with the EF equipment; it would be an outdated piece of junk once your team completes the new machine. 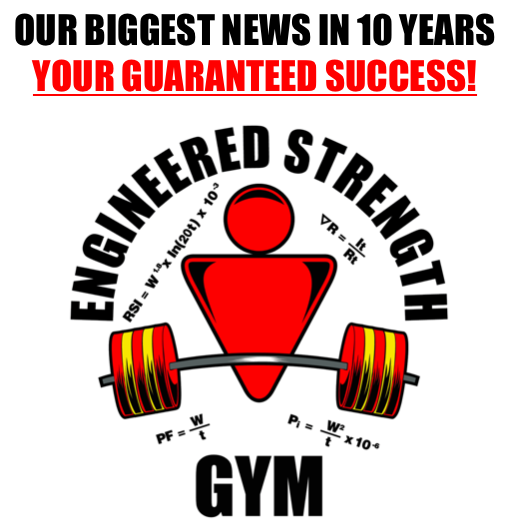 it’s good to know the end is in sight; for too long mankind has been ignoring the benefits of properly measured strength training that can be compared against itself to guarantee consistent, beneficial results. godspeed and i look forward to being one of the first to “have a clear picture”. Thanks for the kind words, Alex. In the meantime, there’s this cheap static contraction machine = 20′ of 600 lb. test line + 3′-4′ length of 1″ diameter rod or pipe + 4′ length of 2×12. Standing on the cord (with shoes on! ), wrap each end of the cord 2 or 3 times around the pipe at the grip width you desire, gripping the “bar” with forefingers over the cord. The amount of cord left hanging determines the height of the bar. I start low for deadlift, move up for curl, move up a little more for front squat, a little more for standing shoulder press, then shorten it up just enough for squat. Seated, you can do a seated row. The board is for bench press: lean against wall or door at 45 degree angle, pass cord behind board (under you) and wrap bar at proper length for BP. Only drawback is no way to calibrate or measure gains, but it seems to work when you don’t have access to a gym, like when it gets destroyed by a tornado as happened here in Joplin. Not sure if this is the place to post this but I saw someone mention they use a static contraction machine. I have the original explosive fitness machine but not the leg press. I was wondering if you or anyone else who has used it has found it as effective as using free weights for SCT. It just seems that free weights for shrugs and dead lifts would be much more effective. I hope that’s not the case because I want to start using the machine again I am getting ready to start SCT again and would like peoples opinions on using this machine. I would like to use it since I spent a lot of money on it but if it is not very effective I don’t want to waste my time with the machine and just switch to weights. I didn’t use the machine consistently so I can’t judge based on my own results. Rob, I’ll let others comment. I haven’t had any connection to that company since ’07 and don’t want to confuse people about that. Thanks Pete. Looking forward to the new machine. I have a question about a calves/legpress machine, we all use the 45 degree angle machines, what about the 90 degree machines where you press it vertically? Is it harmful in any way? The 90% machine is fine for people who can use it with comfort. You use the same range of motion in your legs (bend your legs the same amount), the advantage is you really lift 100% of the weight, whereas on the 45 degree lift you are hoisting 70.7% of the vertical weight. Said another way, 1,000 lbs on the 45 degree leg press is equal to 707 lbs on the vertical press. That’s what I thought, some people says it’s more harmful to your back compared to the 45 angle machine, a myth? Nobody makes a machine to be deliberately harmful. It’s a matter of preference which configuration is more comfortable. I have bad memories of leg presses 🙂 I popped a hernia after overdoing leg presses on those wretched machines. Then came a fun operation. Later I was told that leg presses are among the most common causes of injuries, along with overloaded bench presses combined with bad technique, of course. Best wishes for your project, which I am sure will be of immense benefit. Sorry to hear that. I’m assuming it was a full range leg press and that you had difficulty in the weak range. Actually, I wasn’t even that aware. I was always trying for more weight. It’s just that one day, I suddenly noticed I had a hernia–carrying around this lump that I had to keep stuffing back. Can you imagine the ignorance? Who knows how many people get serious injuries this way. Of course, the doctor told me my weight lifting days were over, so far as heavy weight went. He told me it could pop out again, despite the opertion and all the sewing around the tissue, if I over-strained again. However, that was a few years ago. Now that I’ve heard of your methods, I intend to start again, more intelligently, I trust. The only problem will be to find an adequate gym in this little town. I live abroad now. Thank you for the reply, Pete. It would seem that the best way to load the legs without straining the back would be to hang the weight from the hips while standing, and using a belt designed so as not to injure the hips. I have purchased a few of your books and was doing reasonbly well until I found that I just couldnt deal with the strain of heavy gym weights on my wrists etc. .. I know you have said that you will let us all know when a home static contraction machine will be available and the proto types look great…BUT are you any closer to the final product. Closer? Sure. But I still don’t have specifics. Sorry. Would you please add the dates these posts were made? I have no idea if these were yesterday or 3 years ago. since I have no way of knowing when these posts were made. We are tweaking some of the display options. Everything you see on the blog is from the last 7 months. 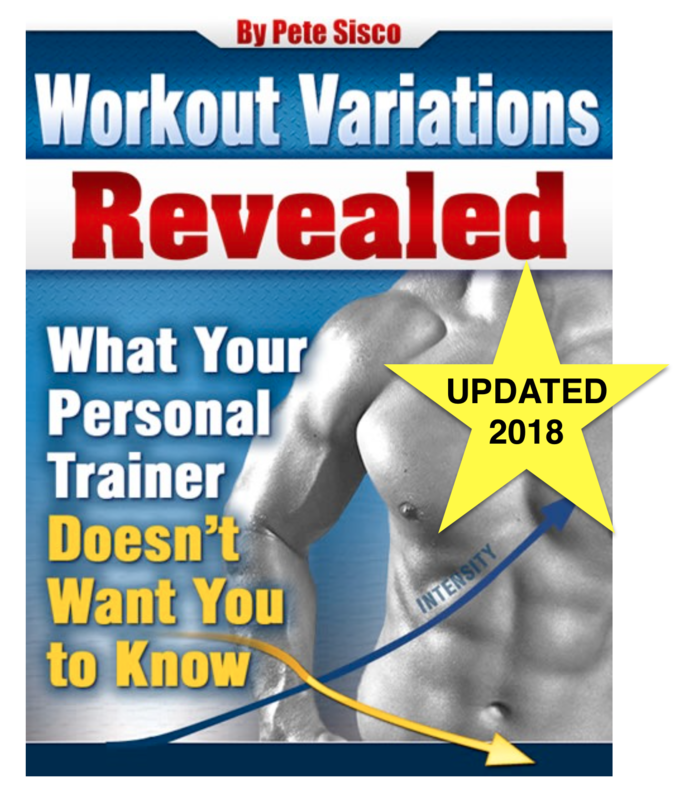 Could you please clarify why different combinations of exercises are used in the “Static Contraction training” book compared with the “Get this strong” book? Was there new evidence that illustrated an improved effect with the create the new combination of exercises in the “Get this strong” book? I know you can’t give out specifics but is there a good chance that most people will be able to afford the machine? In my view it has to be affordable to almost everyone. Most tech products start out rather expensive but come down in price with wide adoption. The revolution requires wide adoption. I designed an electronic unit in 1998 that I use with SCT. It Stops me from training blindly and has given me a window into the muscle that is being trained. It supplies me with 3 different bits of information, Namely: Intensity level, Output over time and recovery indicator. It takes information directly from the muscle in real time. It has helped me enormously to the point that I am now 50 years old and have a genuine 18.5″ arm unpumped. (I don’t do pumping). That’s interesting, Craig. What method do you employ to gauge recovery? 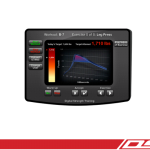 The unit gives out voltage over time via the EMG which I can compare to the previous workouts. If I cannot achieve at least the equivalent reading , I know I have not fully recovered. I do not use weights at all as I feel that there are to many discrepancies to do accurate comparisons. I only use a fixed resistance. Right, when you have a measuring device there is no need for iron plates. I’ve heard that old-time strongmen sometimes used their grip strength to measure their overall recovery. It might be fun to experiment with that as it’s a minimalist exercise and won’t dig the recovery hole any deeper. My son who is studying sports science has now taken to training this way as well. He was a dedicated 5 day “weight rat” but has come to his senses. He was always suffering from sore throats and colds due to over training. We train on average 1 day out of 7 depending on recovery.He is over the moon with his growth results and feels a lot stronger. He does not feast on the Protein shake and supplements hype any longer either. I’ve been practicing SCT and teaching it for three years now. All I can say is: You Rock!, and have changed mine and many of my friends lives. Back long ago and far away (1986) I was the Engineering Lead for a company called “Delta/Trimax” we built Hydraulic home workout equipment. We were on a similar quest. At one time we were manufacturing and selling direct at a run rate of $8M per year. Not bad for a $1500 piece of equipment. The reason why I bring this up is, our design could be very easily retrofitted to become an SCT machine. I invested 10 years of my younger life in Sales, Marketing, Design, R&D, Distribution, Promotion and much more. Let’s talk; maybe we could brainstorm a few ideas. I have been using an XF machine for over 5 years, with a few 6-12 month breaks due to auto accidents, and falling 25 feet to a concrete slab. For years before that I used free weights, and had about 2000 lbs. of plates, and barbells (Rubber coated) up to 150 lbs. in pairs, not to mention a machine that held about 3000 lb.s of plates. I have developed exercises for the machine tha allow me to “lift” for all the muscles I can think of, including strengthening exercises all 4 ways for wrists and ankles. Is it effective? Each time I have been injured, and couldn’t lift my own arms without pain, and have been released from a doctor, I have seen consistent, steady increases in strength in all areas. Currently I am over 500 lbs. on bench press, and over 2100 lbs. on the leg press, and am at a resting time, between sets, of about 17 days. I expect that all of my numbers (Except my neck, inner thighs, and leg press, will continue to get stronger with each consecutive workout as they have in the past. The reasons I make those exceptions is that I do not believe ion working out past pain, and some of those exercises are starting to cause some pain when exerting those forces, of course, when you are over 2000 lbs, even a 3″ thick pad doesn’t seem like near enough. I have hopes that Pete will have a solution for that in the new SCT machines. I tore an inner thigh muscle about a year ago playing football for fun. But at 50 years old, I held my own with the best of them. Note: Stretching is something that is not covered on this site. Do I believe that I get as good a workout with my XF machine as I would in a gym? Absolutely. Have you ever tried to load over 2000 lbs. onto a bar for a 10 second lift, and then had to unload it? Have you ever seen the looks on everyone’s faces as you take just about every plate in the gym to load on the bar? Have you ever had the management tell you that they do not allow lifts over 2000 lbs. … With my XF, I will do over 2200 lbs. next Wednesday, and over 525 on bench, … unless I need to increase my recovery time again. ANd I won’t need to “Lift a plate” to do it. P.S. Pete, if you can eliminate the pain when doing 2000 lbs., 3000 lbs. or more on the leg press / extensions, You’ll have at least one buyer for your new machine. On my XF, Prior to my 2 injuries, I have gotten within a workout or 2 of 3000 lbs. on leg press. Without the injuries, I might have been close to 4000 by now. No way of knowing. I am back over 2100 and working up again. I don’t know if my 50 year old body can handle 5000 lbs., but if it can, it would sure be nice to have the ability to hit that number, … or pass it. I’m a little confused: I thought there was just this workout called “Static Contraction,” which I saw on the Tony Robbins DVD. But now it looks as if there are two different types of workouts-the SCT and the “Power Factor.” Does the Power Factor take as longas regular workouts, or is it still shorter? Which is better for a 50 year-old who hasn’t done weight training in over 25 years? Also, is there a SCT for Cardio workouts, instead of sepnding 30 minutes on an elliptical? Will this machine also setup to be able to record a power factor workout with reps? No plan for that in the early models. You should ask them to try to at least put in the ability to do loads of holds in 3 minutes and have the machine add it up for you. Thanks much! I’ll be ordering the “Train Smart.” Much appreciated. I’m a mom, looking at trying to find a way to lose weight and build muscle. I like the thought of being able to do less and less. Interval training for “aerobic” exercising is also what I am interested in. I noticed all those writing are men and would love to hear if any women have had success with STC. I would also love to see the STC way of working out or slow motion weight training (1-2X per wk) come into the high schools. The kids are constantly in there “working out” and I know that it isn’t the best for them. If you can cut time in the gym, they can have more time to study or “hang out” with friends. Of course, the local gym I currently go to that is invested in all the expensive types of weight training equipment, probably would not be interested in STC. But if they would be open to it, they might actually find their customers actually coming back instead of getting turned off. Any suggestions to convince my son that STC really works? What can we do at home to start? 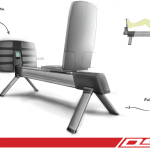 Looking forward to seeing new STC bench/machine when it finally comes to the market. Bust out that machine already!! 🙂 Pete, is there a certification for personal trainers wanting to get involved with your programs? Certification will come immediately after the machine. Scott,….I remember that gym!! Tell me,…..can anyone really gain muscle with SCT? It just seems that its not enough,……(its hard to shake off the conventional way of thinking)….after 3 years, have you seen any changes in size and strength? Hi, One of the problems I have come across is that most gym and home gym equipment is that they don’t have alot of weight for you to give you to resistance you need. When you are talking about 200, 300, 400 and 500 hundred Ibs. And most don’t have the width for bigger people and they are not stable. Some body will come up with one but they will charge a fortune! I would like for this to be my first certification. I’m tired of the ‘personal trainers’ who are using the old technology, ideas, who are outdated. I’m looking forward to the ‘future’ of sct. Pete, I have used static concentration training for years and it’s incredible. I have noticed that I have gotten that strong that it has plateaued, even with longer rest periods. Why is that? Hi Matt. I think that, logically, it can only be one of two things. A) you need more time to recover and allow for new muscle growth, B) you’re at the limit of your body’s ability. Even if it’s B, there could be other ways to improve. For example, go from one 5 second hold to multiple 5 second holds. Go to 30 second holds. Any measurement of strength requires a time element. You can always play with the time element – if you think it’s worth your while. (You could add volume with Power Factor training.) If you’re basically satisfied with your strength now, you might decide your time is better spent learning Spanish. Haha! Thanks for your reply pete, it’s a great training method. I stumbled across it and never looked back. Hi Pete, Any news on the SCT Machine? I think it will be a game changer. Perhaps Franchising Opportunity. What if even a start within an already existing gym franchise for efficient workouts. I tried to explain to people when I followed the program, I felt like the scene in the movie Unbreakable, where Bruce Willis’s character son kept piling on weights in his basement, and he kept lifting it. The only hassle was as you got to greater and greater weights, it became an uncomfortable spectacle. Then you had to explain what you were doing, because it was so different from anything going on. The doubt, and ridicule, made it uncomfortable in the local gym. This is not to mention, the time needed to stack all the plates. A SCT that could easily be placed in position with virtually unlimited resistance/weight in a safe range that didn’t place your Life at risk would be a God Send! Thanks, Martin. I wish I had solid news. Some people and companies are working on machines that cost $50K+ but that’s not where the revolution is. 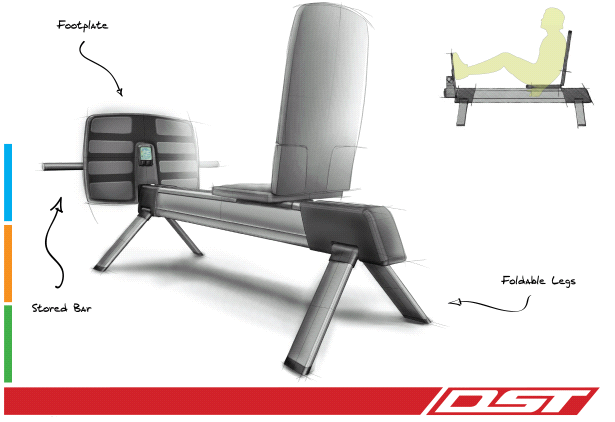 We need a sub-$1,000 home machine – that’s what can change the world of strength training and durable health. I bought the SCT machine back in 2006 or 2007. I moved a few years ago and somehow lost the pines that hold the crossbar in place. How can I get a hold of replacement parts. My second question is, do you have people on a waiting list for this machine? If so I would like to move a piece of equipment. Can you help with either or both? 1. I think you could find some pins at a Home Depot or Lowes. It’s basic hardware. 2. I can’t help you sell you machine. You could try Ebay or Craigslist. Hi, is there any progress on this machine being made? Im sure this would be a great investment for people interested in there health and fitness. There are some machines that are $50K and meant for institutional use. Nobody is ready for prime time with what people need for their home and is in a consumer price range. @ Steve, I think article was posted sometime in 2011. I have followed this site pretty much from the start. Loads of great content in the articles and the comments. I have the XF Streamline static contraction machine. It works well. If anyone is interested in purchasing it, please post a reply. I am selling it because I have aquired all the necessary equipment (including squat rack) to perform all the SCT exercises. I appreciate your response, however I was more wondering when the comments were last updated by Pete etc. Ah I gotcha Steve. Ya know, I think way back this site used to have time stamps.